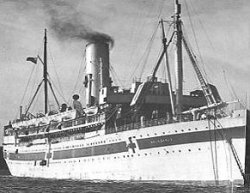 In the diary entry for 11 April 1943 my Grandfather wrote of visiting a friend onboard a ship where they enjoyed a wonderful dinner. 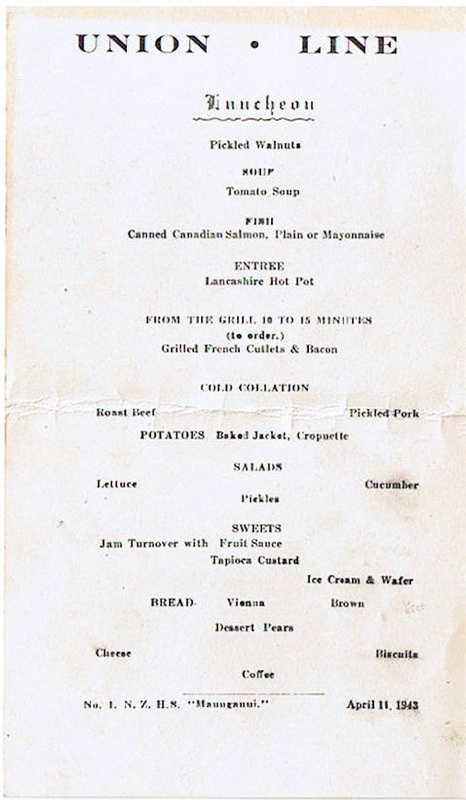 This was the menu he kept with the diary from that day. Jam Turnover with Fruit Sauce . Wow pickled walnuts and lots of pickles. God Bless them!